I will be the first to admit that I have an addiction with drugstores. The thrill of finding new bargain beauty goods to test out always gets me excited. The best part about drugstore shopping is that it's a one stop shop for your most needed items and those not so justifiable purchases as well. The quality of the makeup and skin care lines available is wonderful for a fraction of the price of designer products. Revlon nail polish is one of my favorite drugstore goodies. The price point is extremely reasonable and they have a plethora of colors to select from. I recommend "Minted" and "Endless Possibilities". My #1 lip balm EVER. Glides on smoothly and is long lasting. 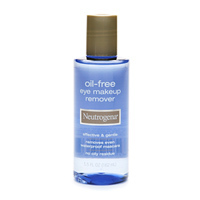 Removes all traces of eye makeup in a swipe without irritating your eyes. This cleanser gives you a deep clean feeling. Loaded with salicylic acid (which fights acne), yet is a creamy cleanser, which leaves your skin feeling hydrated. The brush for this mascara is big but does a great job volumizing lashes and doesn't flake at all. The luxury of a night cream is something I think everyone should treat themselves to. This cream is insanely moisturizing without being greasy and claims to fight wrinkles and firm skin which is always a plus! It is so important to protect your skin from harmful sun rays. This moisturizer is lightweight with SPF 30 which is great for all year around. My favorite part is that it doesn't have the "sunscreen smell" and doesn't leave a white tint to your skin like most sunscreens do. 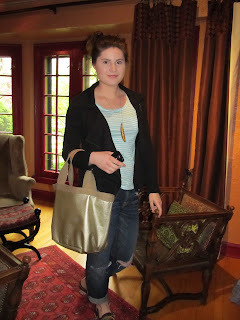 Check out my post on Revlon ColorStay Foundation, the best drugstore foundation out there. Yay for mint nail polish! 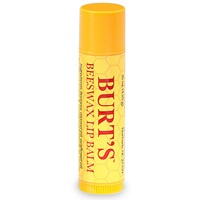 Absolutely agree with Burt's Bees balm but I have to definitely try the rest!